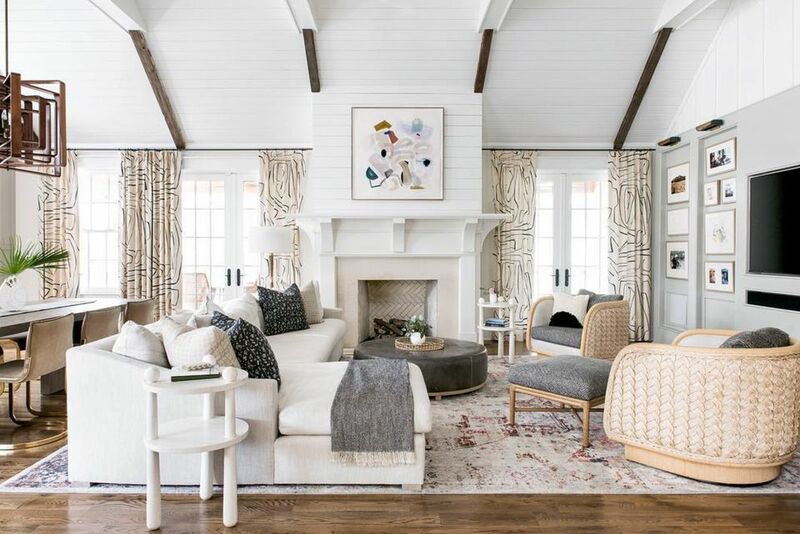 There's just something about a gorgeous room, like this one from cortneybishopdesign, that makes us never want to leave the house. Sure, there's a great big world out there—but once you get each room of your house just right, it's natural to look forward to spending some quality time there. A lot of choices go into decorating your home, but there are a few tips and tricks that can help you get the most out of every room in your house. A little color, a little texture, and a bit of personality can make a world of difference in your home. Here are some of our favorite ideas to transform a space without a lot of hassle. Though we're big fans of neutral and white-washed rooms, there's something about a splash of bold color that makes a room feel like it's right out of magazine spread. This bright bedroom from angelag090 is simple and tasteful, but the pops of yellow, blue and purple take it to the next level. From your bathroom to your living room, color is an easy addition to every room in your house, and one that will make it feel instantly fresh and new. If you want to make your home look bigger, there's no need to call a contractor. Decorating with mirrors is an easy, beautiful way to make any room feel larger, lighter and more open. This living room from Oh My Dear Blog is a great example of just how much mirrors can really contribute. Place a large mirror either directly across or diagonal from your window so that it can reflect the light (both natural and artificial, if you're low on windows) and allow the room to look larger. One of the easiest ways to add beauty to your home is to experiment with accessories and design-forward objects. This crisp, modern bathroom from houseofjules feels totally cohesive and put together—and though it's not cluttered, knickknacks like the stool next to the tub and the greenery on the sink make it feel homey. When decorating with accessories, consider filling empty space in purposeful ways—pick objects you love and that bring you joy. Ask any interior designer, and they'll tell you that one of the easiest ways to beautify a room is to add greenery or florals. This adorable bar cart from sunnycirclestudio is classy on its own, but the vase of eucalyptus really pulls the look together. Fill the empty nooks and crannies in your home with indoor trees, seasonal bouquets or some wallet-friendly greenery to give every room a designer's touch. If you've got it, flaunt it. Natural light is desirable for a reason; it makes every room feel calming and open, and makes things a lot simpler for your overall design scheme. This living space from A Beautiful Mess embraces the floor-to-ceiling windows by making them the focal point of the room. Whether you're lucky enough to have an abundance of natural light or you have to work with less-than-ideal exposures, never neglect your windows. Finding the right curtains or shades for your room can transform the look and feel instantly. Every home we love has one thing in common: creativity. Anyone can fill a house with showroom furniture, but for a truly gorgeous space, it's important to let your imagination take the lead. This dining room from crystalanninteriors ditches tradition and uses a modern leather loveseat for seating instead of a full set of chairs. In your bathroom or kitchen, tile is one of the most important elements of a cohesive design. If you want to add beauty to your kitchen, spice up your tile. This stunning kitchen from Studio Mcgee features a pearlescent subway tile that's an eye-catching shift from the standard fare. Focusing on the base elements of a room, like flooring, tile or paint color, lays the groundwork and allows the rest of the room's design to shine through. From area rugs to throw pillows to cozy blankets, textiles help break a room up and visual interest (plus, who doesn't love the feel of a super-soft rug underfoot?). 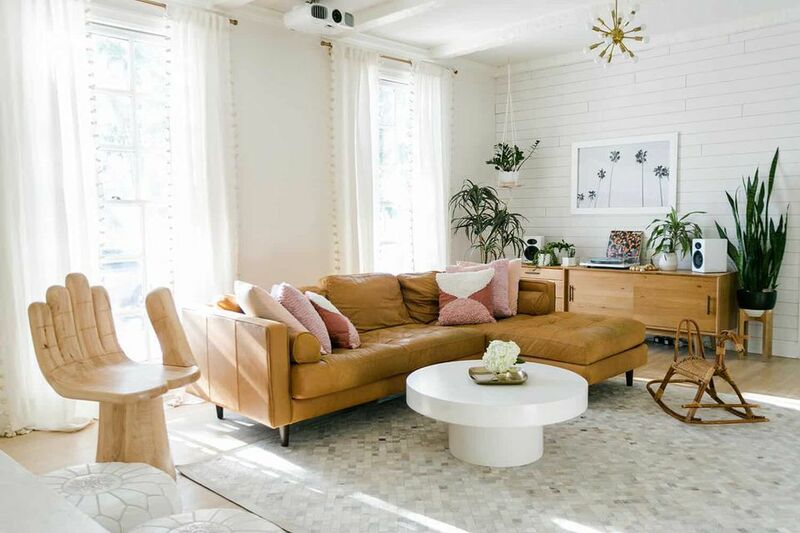 This living room from restoring_home has everything we love about a beautiful space—greenery, varied lighting, perfectly curated furniture—but it's that Moroccan-inspired area rug that really takes it to the next level. We love this modern kitchen from Coco Kelly for its stunning design and gorgeous accessories, but even if your kitchen doesn't have the same top-to-bottom renovation, a quick clean can go a long way. This kitchen's counters are free of unnecessary clutter, which makes it appear larger and more inviting. In every room in your house, finding ways to hide or get rid of unnecessary things is one of the best ways to help create a sense of beauty in your space.